With about under five months to go for the official opening of the Dubai Parks and Resorts’ Legoland Dubai theme park, the site is witnessing some frenetic last-minute activity. The month of March saw the legendary Miniland assembled at the site, with the park claiming that there will be 20 million Lego bricks in this indoor, air-conditioned interactive area alone. In March, a senior park official had confirmed to Emirates 24|7 that the Miniland in Legoland Dubai will feature a Lego replica of the world’s tallest tower, the Burj Khalifa. 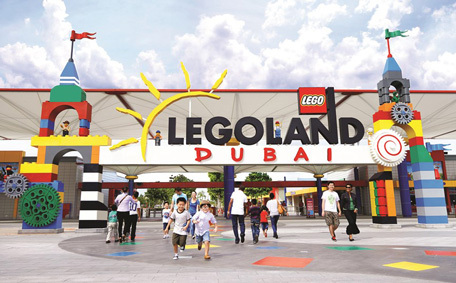 “Legoland has a very international flavor, but it will have local offerings,” Siegfried Boerst, General Manager of Legoland Dubai, told Emirates 24|7. “Especially the Miniland will be entirely based on what the region has to offer. There will of course be the Burj Khalifa, but also offerings from Egypt, Petra (Jordan), etc.,” he said. “Legoland Dubai will feature Dubai’s iconic skyline and key landmarks from around the Middle East,” he said. In addition, guests will have the opportunity to create their own skyline at Build A City, a 10m play table with white Lego bricks. Miniland at Legoland Dubai is racing towards the October 2016 opening as the 62,000 square foot dome nears completion. Here’s a sneak peek at the building of the first indoor and air-conditioned Miniland.